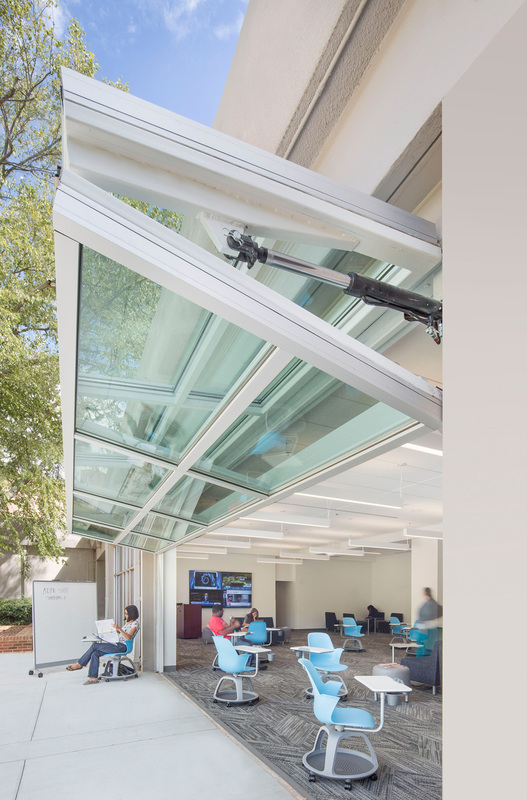 Peyton Anderson Forum is a 2,030 SF renovation at the University of Georgia’s Journalism Building. 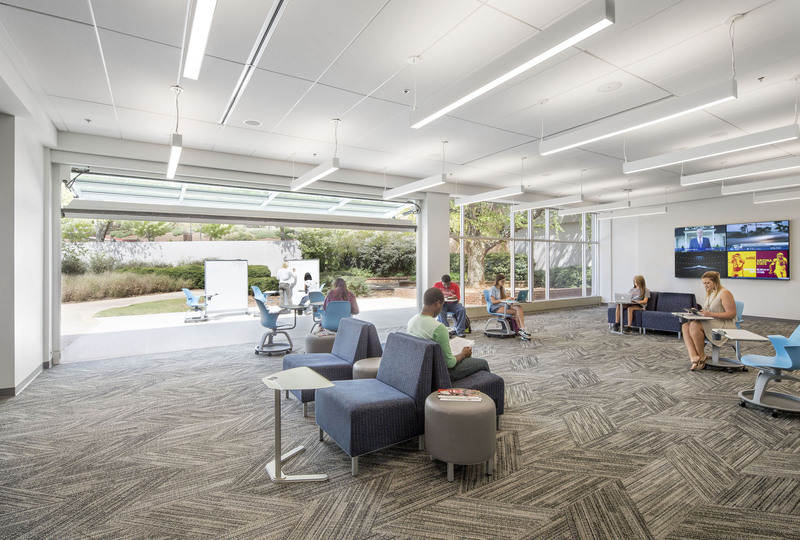 Completed in the Spring of 2015, the Forum provides a flex space to be used for student lounge, formal gatherings, or classroom space. 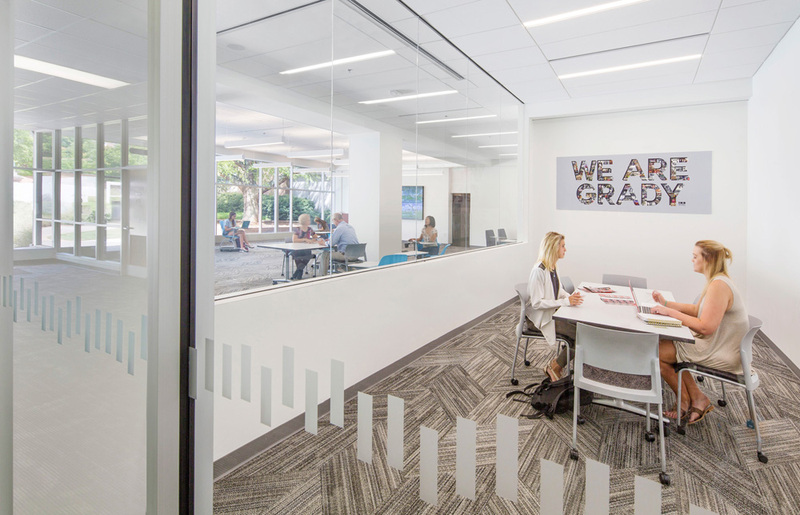 The renovation also provides a small Social Media Room where a Social Media Display Wall can be used to source information for journalistic research. 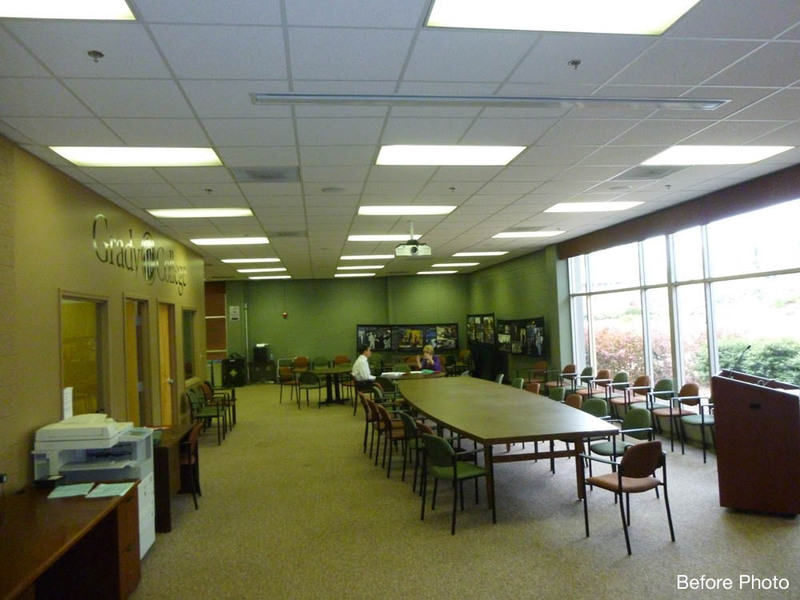 The Peyton Anderson Forum utilizes both a large bi-fold door to allow the space to open out to the exterior renovated patio, and a mall front assembly that opens to the corridor and the adjacent administrative offices. 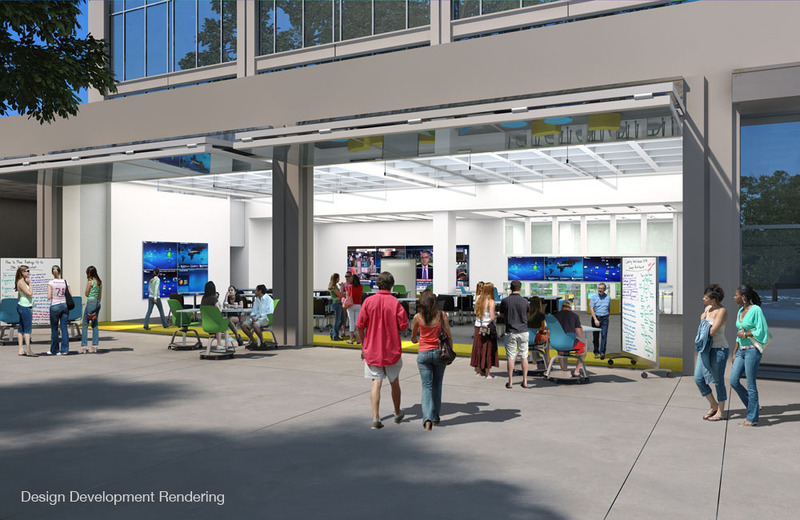 The project draws from the Master Plan concepts developed by Menefee Architecture for all future renovations of the Journalism Building.